Rajasthan is not only known for its forts and havelis, this huge royal state is also the home to some of the finest Jain Temples in India. In fact it is state that house the famed Dilwara Jain Temple and the magnificent Ranakpur Temple. Experiencing the spiritual bliss in this state is just so obvious and that is why we cater to your need to obtain an insightful and soul stirring religious tour in Rajasthan. 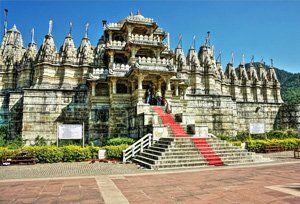 Our special 12N/13D Jain Temple Tour takes you on a delightful journey of some of the most sacred and grand Jain temples in India. Beginning from Alwar, the tour is first blessed by Shri 1008 Chandra Prabhu Digambar Jain Atishaya Kshetra dedicated to Lord Chandra Prabhu (The 8th Teerthankar). We shall also seek blessings of Bhagwan Parshvanath (23rd Teerthankar) whose temple is highly revered at Tijara City. 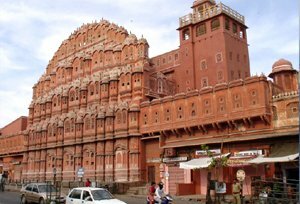 Jaipur would be waiting for us to explore its architectural grandeur, we will take a short sightseeing tour here and visit important tourist attractions like City Palace, Central Museum, Jantar Mantar and Hawa Mahal. We will bow our heads at Chulgiri Jain Temple and Shri Digamber Jain temple of Sanganer in Jaipur before we leave for Udaipur. 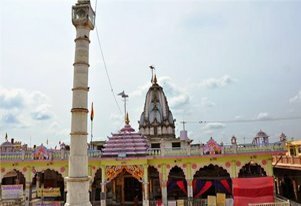 Rikhabdev Jain Temple, some 65 odd kilometers from Udaipur let us worship at the feet of Lord Rishabh Dev’s deity that is built in black stone in Padmasana posture and is about 3.5 feet tall. 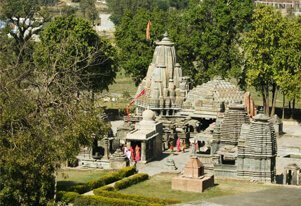 The tour also includes the visit to Banswara, which houses Arthuna temples, which were built in 11th, 12th and the 15th centuries and Nilkanth Mahadev Temples. The Dilwara Temples at Mount Abu will be our destination, where you have the opportunity to marvel at the architectural grandeur of this Jain Temple. The Ranakpur Temple, at a short distance from Udaipur would be another architecturally exquisite Jain Temple where Lord Adinath is seen conquering the cosmos. At Jodhpur’s vicinity, we shall visit the Osian Temples, a cluster of ruined Brahmanical and Jain temples dating back to 8th to 11th centuries. Our sacred tour will come to an end at the famous Nakodaji Jain Temple that is situated in forest and has a charming natural atmosphere all-around. After the breakfast, we shall drive to Alwar. On arrival at Alwar, check-in at the hotel. Later, we will visit Shri 1008 Chandra Prabhu Digambar Jain Atishaya Kshetra Dehra Tijara. The main deity of Tijara Atishaya Kshetra is Bhagwan Chandra Prabhu (The 8th Teerthankar). The idol of Bhagwan Chandra Prabhu is is in Padmasana posture and is made of white stone that was discovered on August 16, 1956 after digging. We shall visit another temple of Tijara City was constructed in V.S. 1895 and has the deity of Bhagwan Parshvanath (23rd Teerthankar). Today, we shall visit Tijara Fort. Later, we will drive to Jaipur. On arrival at Jaipur, check-in at the hotel. In the afternoon, we shall go for sightseeing tour. We will visit City Palace, Central Museum, Jantar Mantar and Hawa Mahal Overnight stay at the hotel. After the breakfast, we will go on a full day sightseeing of Jaipur. We will visit Amber Fort, Chulgiri Jain Temple and Shri Digamber Jain temple of Sanganer. Overnight stay at the hotel. Today, after the breakfast, we shall drive to Udaipur. On arrival at Udaipur check-in at a hotel for a night stay. 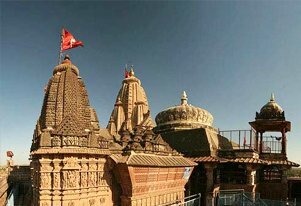 Today, we shall visit Rikhabdev Jain Temple, which is situated 65kms from Udaipur, on Udaipur-Ahmedabad Road.a It is a well-known pilgrimage site and the main idol of this temple is Digambar Lord Rishabh Dev that is carved in black stone in Padmasana posture and is about 3.5 feet tall. Two oxen are carved in the center of simhasana (platform) of the main idol, which also has 16 dreams of the mother of Tirthankar. Overnight stay at the hotel. We will drive to Banswara today. On arrival at Banswara, check-in at the hotel. Later, we shall visit Arthuna temples, which were built in 11th, 12th and the 15th centuries. We would witness the beautifully carved conjugated statue of Shiva, Parvati and Ganesh. We shall also visit, Lankiya village around Arthuna that houses Shaivite temples called Nilkanth Mahadev Temples. Overnight stay at the hotel. 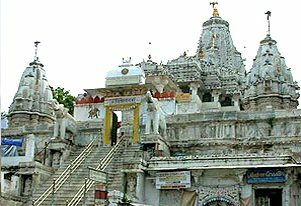 Today, we shall visit Andeshwar Jain Temple of Banswara. This place is situated on a hillock in Kushalgarh Tehsil of Banswara district. It is a very famous place for a Jain temple that houses rare Shilalekhs dating back to 10th century. We can find two Digamabara Jain Parshvanatha Temples here. In the afternoon, we shall drive back to Udaipur. On arrival at Udaipur check-in at the hotel for a night stay. Post breakfast, we shall drive to Mount Abu. On arrival at Mount abu, check-in at a hotel. Later, we will visit the famous Dilwara Jain temple. Overnight stay at the hotel. Today, we will drive to Ranakpur. On arrival at Ranakpur check-in at a hotel. In the afternoon, we shall visit Ranakpur Jain Temples. This Jain temple dedicated to Adinatha and is designed as Chaumukha (four faces) and the quadrupled image symbolize the Tirthankara's conquest of the four cardinal directions and the cosmos. Overnight stay at the hotel. We shall head to Jodhpur today. On arrival at Jodhpur, check-in at the hotel. In the afternoon, we will visit the Osian temples. Osian is home to the cluster of ruined Brahmanical and Jain temples dating back to 8th to 11th centuries. Of the 18 shrines in the group, the Surya or Sun Temple and the later Kali temple, Sachiya Mata Temple and the main Jain temple dedicated to Lord Mahavira stand out amongst the others. After visiting these temples, we shall drive back to Jodhpur. Overnight stay at hotel. Today, we will visit Nakodaji, which is one of the famous Jain temples in India. The temple is situated in the forest and has a charming natural atmosphere all-around. The main deity in the temple is that of Mulnayaka Shri Parshvanath Bhagavan. After visiting the temple, we will drive back to Jodhpur. Overnight stay at the hotel. After the breakfast, we will transfer yout to airport/railway station to take the connecting flight/train for onward destination.